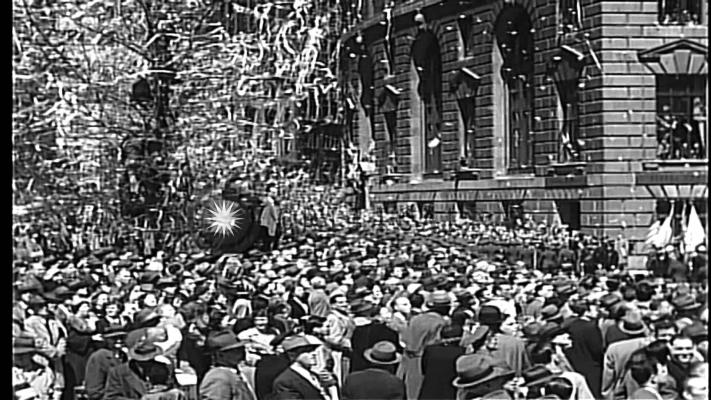 Since stock tickers were replaced by electronic displays in the mid-1960s, such parades have used the output from paper shredders. I still have a few of the old New York Telephone punchcards that came with your bill. "Do not fold, mutilate or spindle"
I worked with mainframe computers and punch cards from 1969 to 1982 or so. I imagine that the chads from punch cards were also used in lieu of ticker tape, and can only pity the poor fools upon whom they were dumped, as they were murder to get out of your hair.